A BRITISH Airways flight from London, destined for Dusseldorf in Germany, missed the runway by 850km after the incorrect papers were submitted - and landed in Edinburgh by mistake. Passengers were dumbfounded and understandably irate after their plane landed and the captain welcomed them all "to Edinburgh", the New Zealand Herald reported. Passengers on the 7.45am service from London City Airport had been expecting to arrive in Germany, not Scotland. The British Airways flight had flown for an hour and 10 minutes in the wrong direction before landing at the wrong airport - apparently unaware of their passengers' expectations. After the blunder was made clear, the plane took the angry and heavily delayed passengers on to Dusseldorf. The flight was operated by WDL (Westdeutsche Luftwerbung) and leased out by British Airways. British Airways said it would be working with the German airline to find out why the wrong flight plan was submitted. 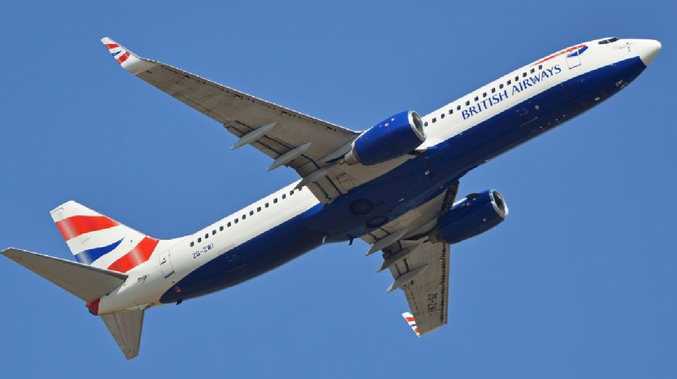 "We have apologised to customers for this interruption to their journey and will be contacting them all individually," British Airways said in a statement. 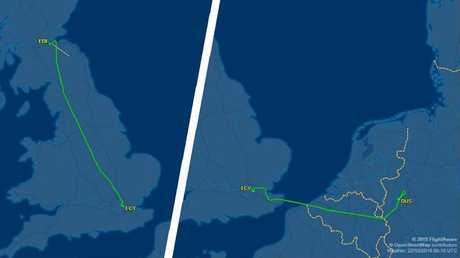 On its previous flight, on Sunday, March 24, the plane flew to Edinburgh and back, so it could be possible the pilots repeated the flight plan by mistake. It is believed the crew were unaware they were following the wrong route until they touched down in the Scottish capital. The German airline said it was "working closely with the authorities to investigate how the obviously unfortunate mix-up of flight schedules could occur". "At no time has the safety of passengers been compromised. We flew the passengers on the flight with number BA3271 to Dusseldorf after the involuntary stopover in Edinburgh." It is not clear how many passengers were on-board when the plane took this involuntary detour. It seems highly unusual that an announcement wasn't made by the crew - informing passengers of the weather and arrival time for their destination. Perhaps the passengers might have dismissed an odd initial announcement as a mistake, as they weren't expecting the pilots to follow through with their flight to Edinburgh. Until, of course, they arrived at 8.45am in the wrong place. Passenger and Twitter user Son Tran was unamused by British Airways' "mystery travel lottery", although he admitted it "feels like an honest mistake" after talking to the cabin crew. British Airways followed up on Twitter announcing the plane's bizarre detour, explaining they "don't have any information as to why at the moment." The customer service team put passengers onto a 10.30 flight to the intended destination of Dusseldorf.